Time has come for another RECONNECTED episode in the popular series of digital compilations and we are very happy to present you this current edition by our new CLR member Rebekah. RECONNECTED 03 contains music by numerous internationally acclaimed Techno artists such as Chris Liebing, Speedy J, Traversable Wormhole, Peter Van Hoesen, Jerome Sydenham, Function, James Ruskin, Cari Lekebusch, Brian Sanhaji, Monoloc, Tommy Four Seven, Drumcell, MOTOR, Edit Select, Markus Sprengler, Sleeparchive, Pfirter, Lucy and Xhin. 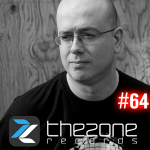 All of the featured tracks are CLR releases, including original productions of label artists, exclusive compilation tracks as well as remixes by several prestigious guest producers. Over the last years CLR has become noticeably more open minded and experimental with regard to the variety of musical styles on the label and Rebekah took advantage of this wider stylistic range to record a truly diversified and dynamic set. The mix moves through all kinds of atmospheric changes, from soulful to driving, from relentless to hypnotic, from twisted to spheric and back to soulful. 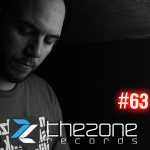 RECONNECTED 03 is the skilled work of an electronic artist who deeply feels this sound and does not believe in any limitations when it comes to creating anabsorbing musical flow. It also shows the full range of the label ́s output and creates pleasant anticipation of things to come – like for example Rebekah ́s first CLR release of original productions, which is due to come out soon. 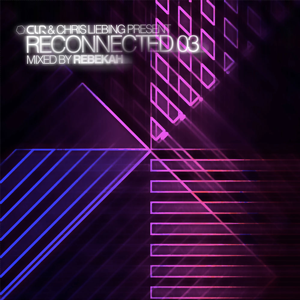 Chris Liebing and the CLR crew are exited about this new digital sampler and highly recommend you Rebekah ́s RECONNECTED 03.